That’s Marvel BadAss! ~ Week Thirteen! So, I’m a little late with That’s Marvel BadAss this week … my apologies, I am working on some future interviews… and they’re still percolating. But, that gives me the opportunity to offer up some quick shots on some bloggers and artists you should check out, like, as soon as you stop reading this. First up — MARCH M.O.D.O.K. MADNESS. If you visit this blog with any frequency, you’ll know I’m a big fan of blogger/artist Brendan Tobin and of the Mental Organism Designed Only for Killing. Put those two together, add some Pedro Delgado and the considerable talents of many artists and you get a magnificent month-long celebration of all things M.O.D.O.K. Visit the site now! NEXT UP: DAILY SKETCHJAM! Thanks to the boys over at Comic TWART, I have added Daily Sketchjam to the sites I make point to visit early and often. There’s a lot of goodness to be had there, but my standout favorite has been the work of Ryan Cody. He has an easy, effortless style and is able to pull a lot of character out of his quick sketches. But, the best I’ve seen is this recent bust of the only and only Luke Cage. This kind of has a “Power Man Meets Fat Albert” quality that a really dig. Check out Ryan’s work, and that of many others, at Daily Sketchjam here. Chiggady-chiggady-check our Covered! right here! 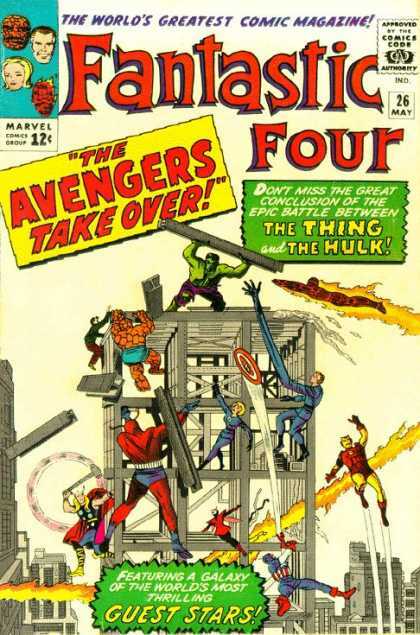 This entry was posted in Avengers, Comic Books, Comics, Fantastic Four, Marvel Comics, MODOK and tagged Avengers, Brendan Tobin, Comics, Fantastic Four, luke cage, March MODOK Madness, Marvel, MODOK. Bookmark the permalink. 2 Responses to That’s Marvel BadAss! ~ Week Thirteen! Thanks for the nice words about my blog and the Luke Cage! My pleasure. You’ve got mad skills, Ryan!